I took this picture last week at sunrise. This was along the last 10k out-and-back of the course. 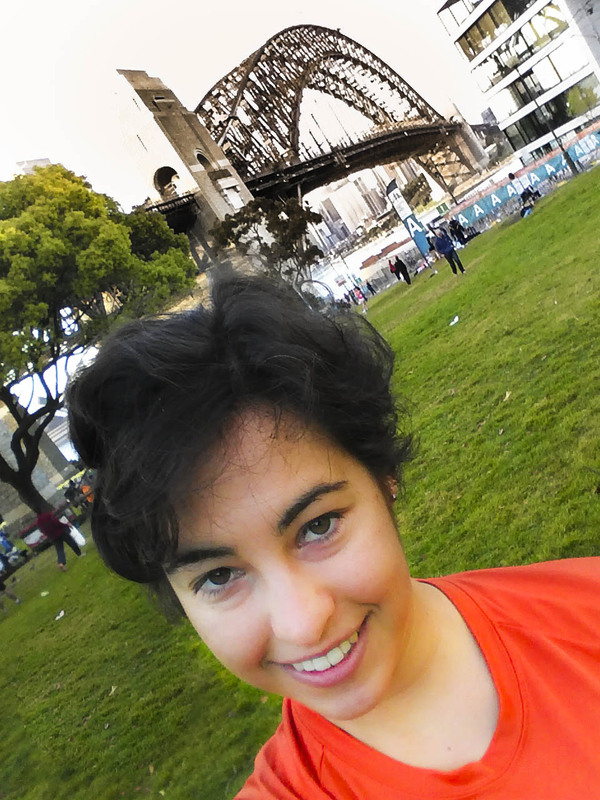 This weekend, I ran a marathon on my fourth continent: Australia. Australia’s the only continent that’s a country, and it’s also the world’s biggest island. This was my first marathon after my injury. I was tentatively aiming for a sub 4-hour finish, not for any reason other than it was a round number. I had been running low mileage, but pain-free, so I was cautiously optimistic. For no apparently reason, I had also put a lot of weight on a sub 4-hour finish, so I was a little nervous going into the race. To get to the start line, a coworker and I took the train across the Harbor Bridge. The start was on a field just underneath the north side of the bridge; we saw the sunrise casting a warm glow on the Sydney Opera House, just across the channel. 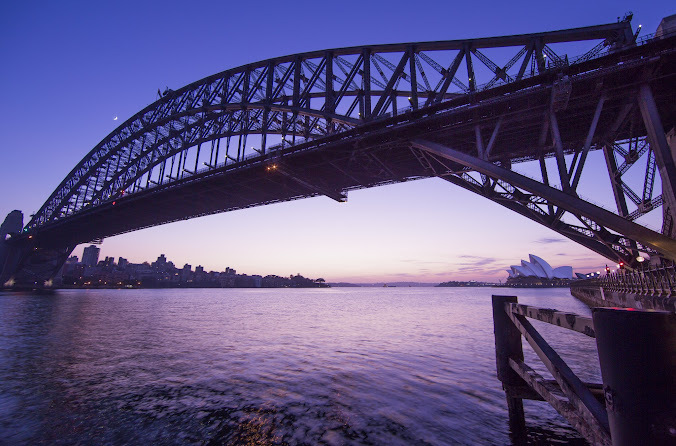 The day of the marathon is the only day out of the year that Sydney closes the Harbor Bridge. To me, that indicates that this race is kind of a big deal. However, a surprisingly small number of runners registered for the full marathon: 3,406. In comparison, 47,000 people run the New York Marathon every year. This Sydney event had several other distances, including a half marathon and several other shorter distances, totaling about 35,000 runners. The start line felt fairly relaxed largely due to the staggered start times. The half marathoners took off an hour before the marathoners, and the marathoners were split into several groups by estimated speed. It made for a very peaceful start to the race. The roughly 3,000 of us started out on the north part of Sydney, and looped around to cross the bridge. Just as we started running across the bridge, around kilometer 2, a man dressed in a full Spiderman suit passed me. I’d like to say that distraction is what caused me to face plant in the middle of the street, but really it was my clumsiness. I didn’t stop for bandages; I ran the rest of the race with blood oozing from my knees. Now I’ve got some excellent scrapes on to show for it. Off to a good start! Around mile 9 or 10, I started to feel the hills. The marathon was a surprisingly hilly course, I was discovering, and my quads were taking a bit of a beating. I made my half-marathon split in just under 2:00, but I knew I wasn’t going to be able to keep that pace for the rest of the marathon. Around mile 14 I slowed it down, resigning myself to a 4+ finish time. The course was divided into kilometers rather than miles, a slight switch that plays surprising tricks on race-day mentality. Kilometer markers were quick and frequent, and I forced myself not to do the math to convert them into miles. It’s sometimes easier not to know how far you have left to run. 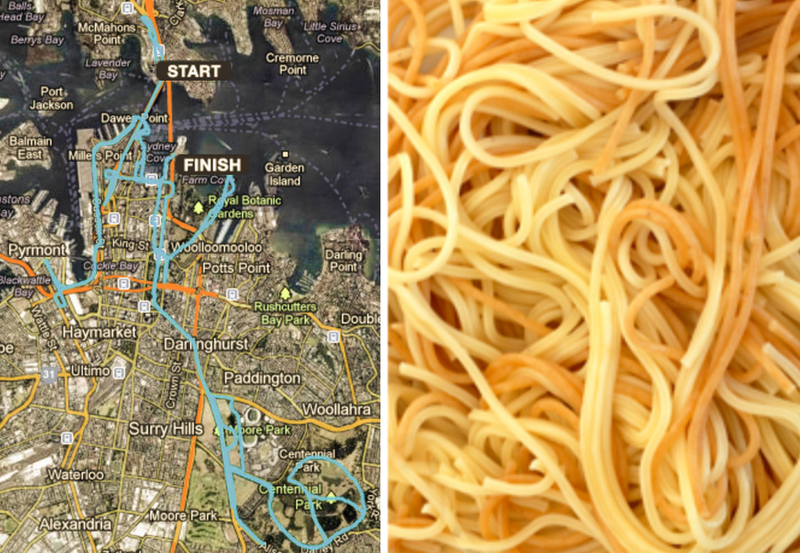 The race course v a bowl of spaghetti. There were a lot of switchbacks, and you never really knew when you were going to turn back around. On the plus side, I got to see a lot of the other runners. On the minus side, running the opposite direction from the finish line is disheartening. The last 10k featured rolling hills, beautiful ocean views, and several runners passed out on the side of the road receiving fairly intense medical attention. The race finished at the Opera House, and the post-race village was at the Botanic Gardens. They had these incredible fruit-flavored ice push-pops at the finish line – incredible. I made my way back to the hotel and ordered a delicious, well-earned hamburger – one of my traditional post-race meals. I came in around 4:12. Definitely not my best performance, although still in the top half of my age group, so that’s not too bad. The best part is there was no pain during the race, and, four days later, I’m still not feeling any twinges. Even though I didn’t make my time, I was mostly nervous about re-injuring myself, or that my hamstring would flare up again. The marathon and the days after have been pain free. This entry was tagged 7 continents challenge, Australia, finishing, injury, marathon, race report, running. Bookmark the permalink. Congratulations for that race !